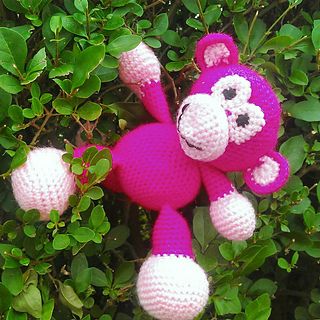 Meet Grape Ape, a sweet amigurumi monkey, who likes getting into mischief and making you laugh! Who’s ready for Rebeckah’s Treasures’ second CAL? 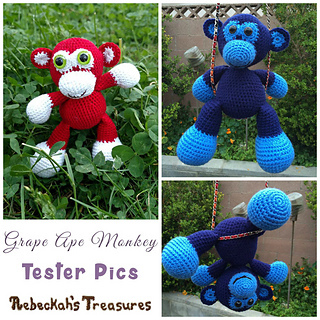 Join me as we crochet this magnificent amigurumi Grape Ape Monkey! Inspired from Sharon Ojala’s Little Bigfoot Monkey, this little gal is twice as tall when using worsted weight yarn (approx. 12” or 30cm tall) and the same height when using cotton thread #10 (approx. 5” or 12.7cm tall). 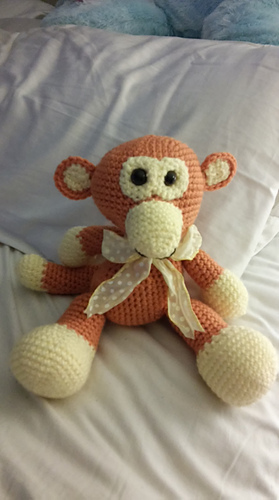 Use your favourite yarn and matching hook size to create your perfect monkey. 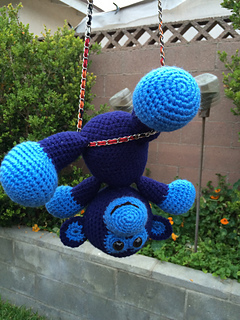 Make both monkeys for a fun ape family! The best part about this fun CAL, is the minimal sewing you’ll have to do. 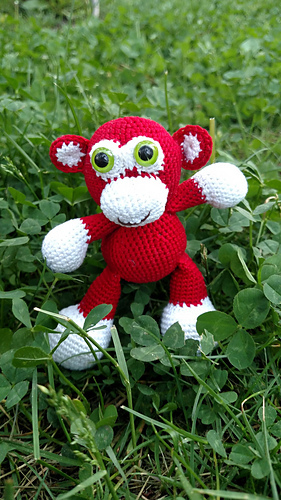 No need to waste time figuring out where to place the limbs because the arms, legs, tail, muzzle, eyes & ears are all attached as you crochet the body & the head! This CAL will run from July 19th to August 6th with new parts posting on Sundays and Thursdays, but feel free to join in at anytime and go at your own pace. I’ll be with you every step of the way if you need anything at all. Note: All these parts will be available for free on the blog, but the PDF Version of this whole pattern can be purchased for only $2.95. 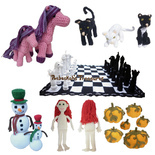 SHARE Pictures of your Grape Ape Monkey CAL and you can get the PDF version for 50% OFF! Share here on Ravelry, on my Saturday Link Up, or on my Crocheting Treasures Facebook Group, and I’ll send you a special code.